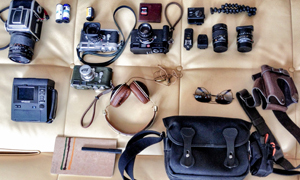 Isaiah Freeman is Jesse Freeman’s cousin and has submitted a brilliant bag for us. Simple and pure, this is a really interesting little setup. Come and have a look. 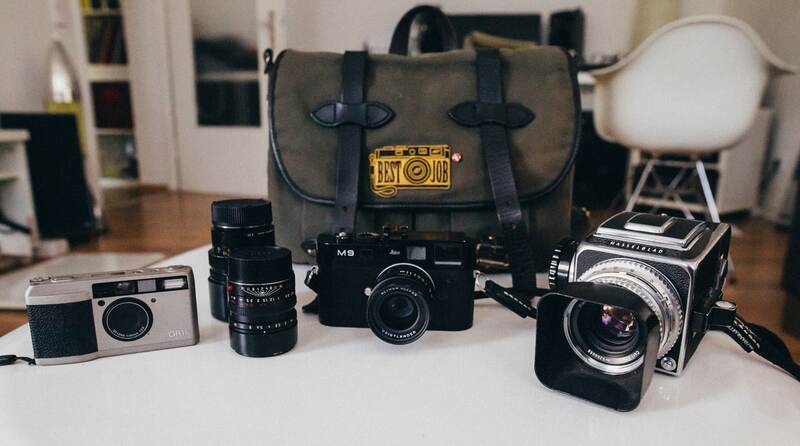 So these are two of the film cameras I use the most. A canon ae-1 (that my cousin Jesse gave to me) and a holga 135 bc. Ive been doing film photography for 3 years now and it feels like my sixth sense I cant live without my third eye view. My blog is titled third eye view for that very reason. My web address is drexil.tumblr.com this blog is where I post most of my photos. My lenses I use most of the time for my canon is a standard canon 50mm lens and an albinar adg 55mm macro lens. And for my holga just a standard holga lens. For my canon I like to either use a regular roll of 24 kodak exposures for black&white, and color. 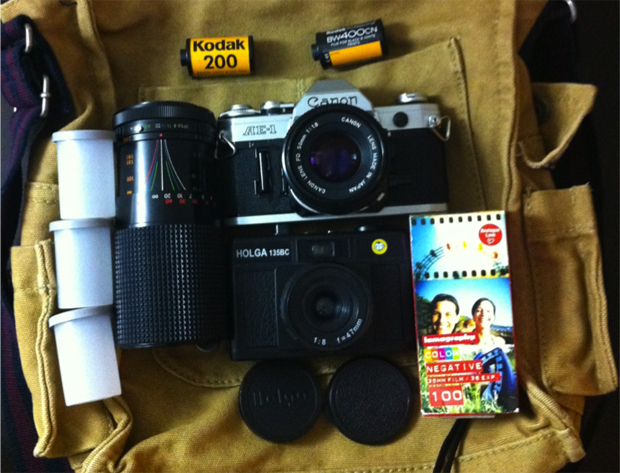 For my holga I like to use 35mm color negative lomography film with 36 exposures. I typically like using my canon ae-1for shooting nature, architecture, and methodical free-shooting. I believe my canon brings out the color more and adds great affects to a nature shot, especially when it’s blurry. 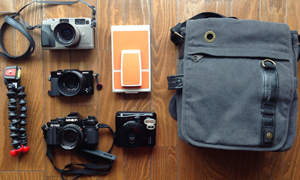 I mostly use my holga for its mobility. Say if I’m at a carnival or at the mall with friends. 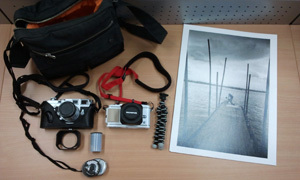 The holga just brings a more playful and fun recreational mood to a photo and setting. I completely love light leaks most of the time they’ll make a shot amazing and vibrant. It’s also fun to do double exposures once in a while to see what you come out with. 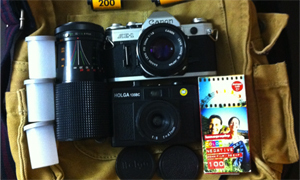 And so my holga and my canon are two of my eyes I use to see my world in new perspectives and in new ways. Thanks for sharing your bag with us Isaiah, it is great to see another member of the Freeman clan on here. Jesse is a good friend.